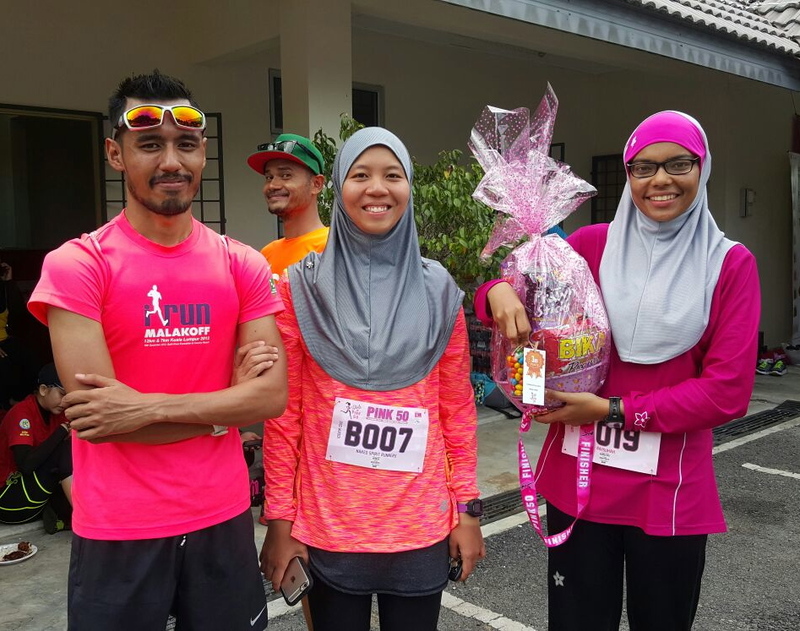 It was my first family run and glad it happened at our ‘kampung’ in Cyberjaya. My husband, brother and I went for the 21km, while the kids joined the 5km fun run. It was the first race for my 12 year old Naqib, and he was all excited about it. The kids were all geared with headlamps and blinkers provided by my brother. Seriously, blinking shades and blinker props are cool safety and mood setters for night fun runs. We reached the race area a few minutes before 21km flagged off. 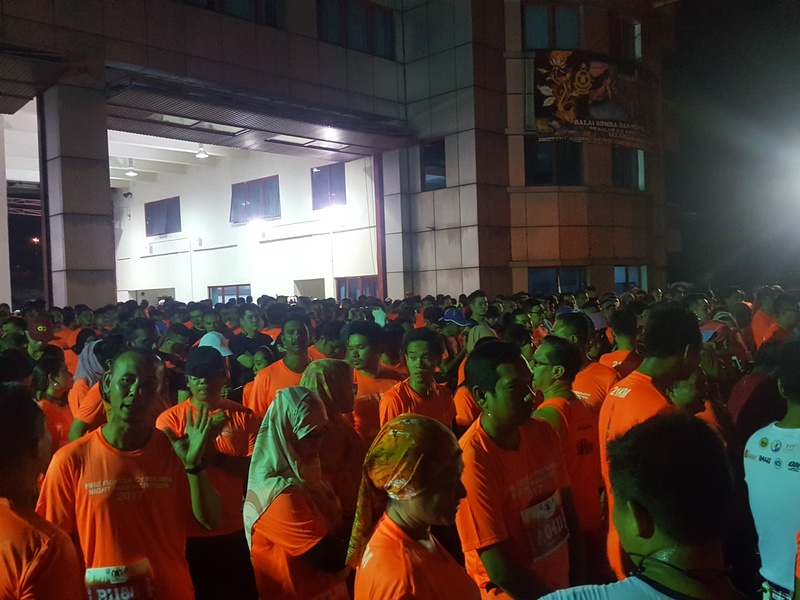 There were more than 800 runners in orange – all pumped up to run. The run started at 8:02pm, and I kept up with a good pace – running on roads I have never been on and passed by new apartments I was not aware of before. Fortunately, the road lights along the empty roads were lighted up and there were trucks by the roads torching dark streets. Road marshals and traffic policemen were on their toes and strict throughout the run – keeping runners safe. They pulled aside a couple of non-abiding cars to the side, so drivers – do adhere to them or you may be delayed or fined if unlucky. 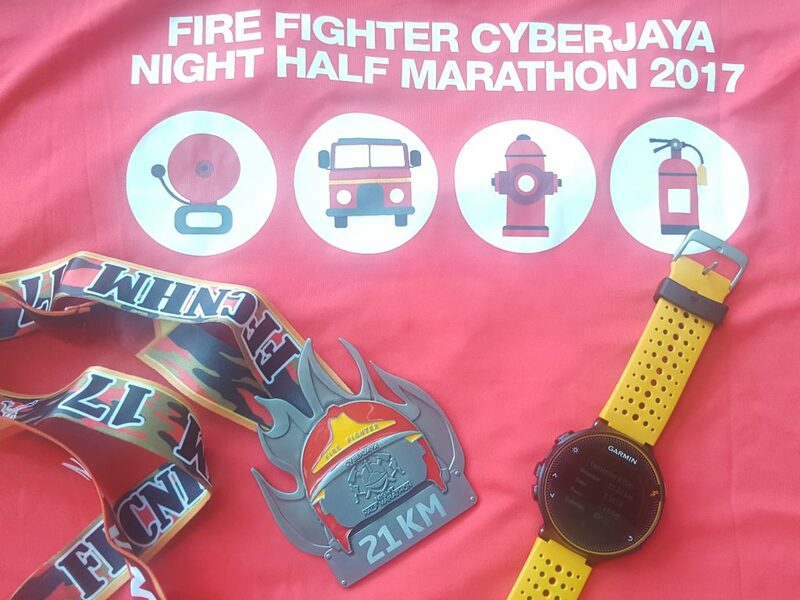 All in all – it was a quiet run with ample water stations, mobile toilets, paramedic and race signage for a smooth race. It would be nice if the community comes out to cheer the runners by the roads. I finished within 2hr 35 mins, my new personal best. My heart raced too fast the last 3 km and had to slow down. 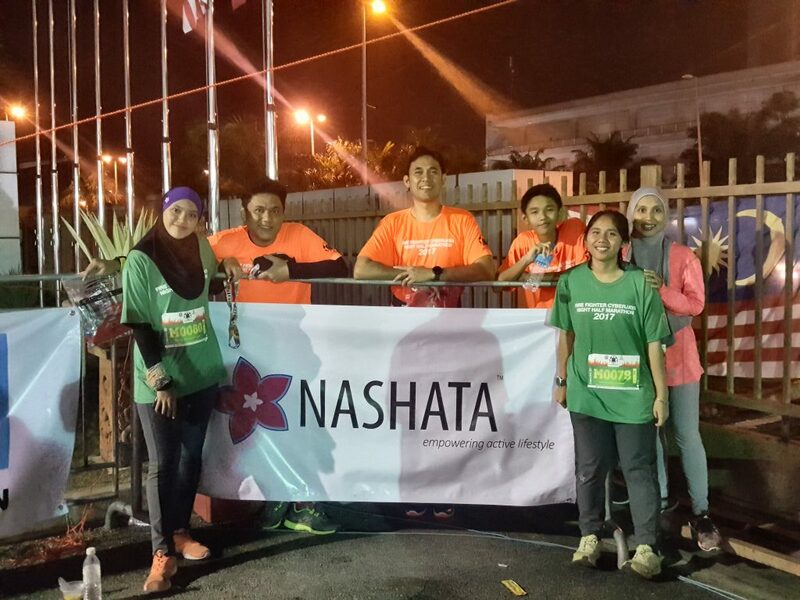 Out of 877 registered 21km runners only a quarter (25%) 222 were female, and 10% women veteran. There were more female runners at the 10km run, half of the 10km runners were female! Read my other post on high heart rates while running. 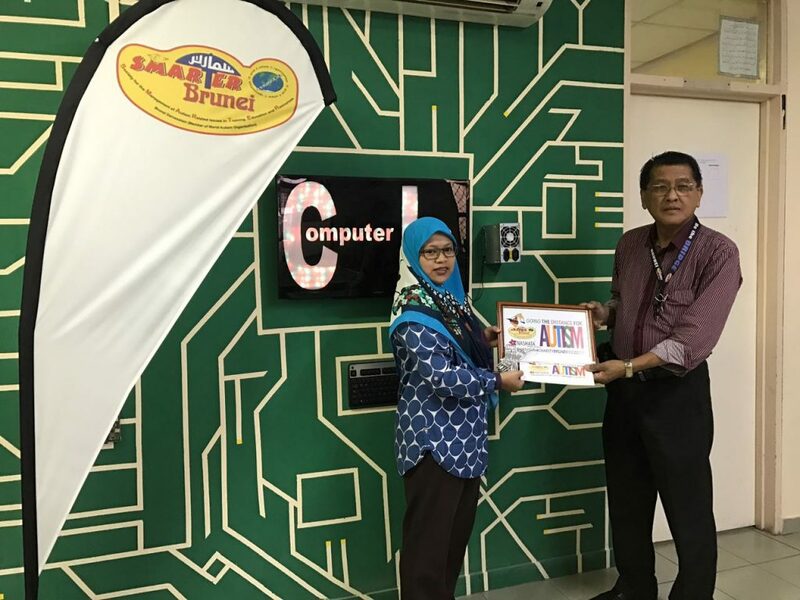 The organiser provided ice popsicles, Mighty White mini loaf, nice hot soup, can’t remember if it was pumpkin or carrot as I was just hungry – slurping away. Indocafe coffee truck and MC D booth were next to each other providing drinks. My husband had a cramp upon arrival and was cared well by the paramedics. The doctor gave good advise about eating tips at night to avoid cardiac arrest. 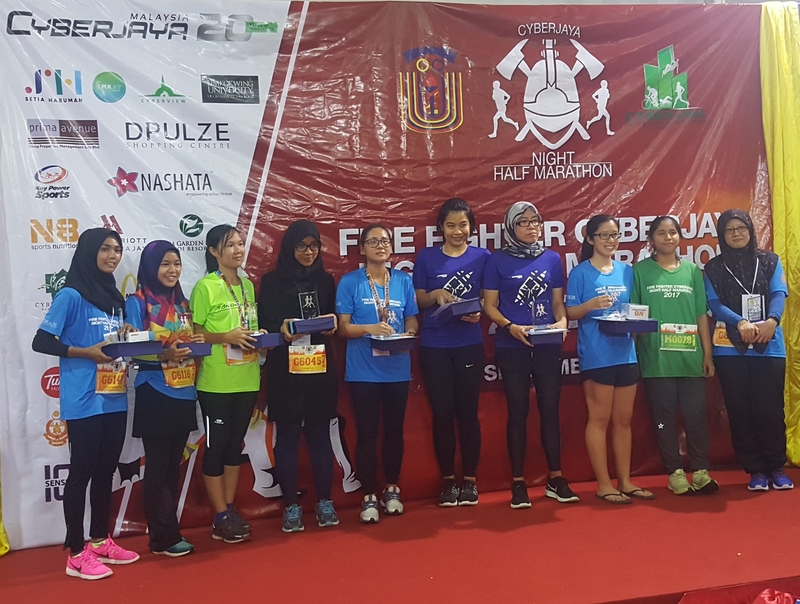 We were honored to give away 20 prizes to winners at the end of the run. 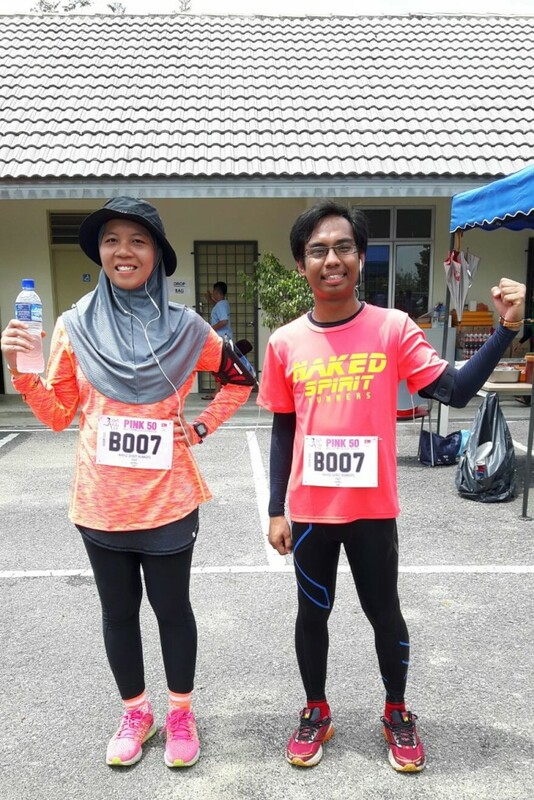 Nuha thought ther 5km run was easy and Naqib wanted to try 10km after this. I am happy the kids left the grounds with new positive goals. Till the family run together again, soon I hope! A friend once said “Never trust a runner. If he/she said that we won’t do it again or won’t be running just as fast, you know they are lying”. 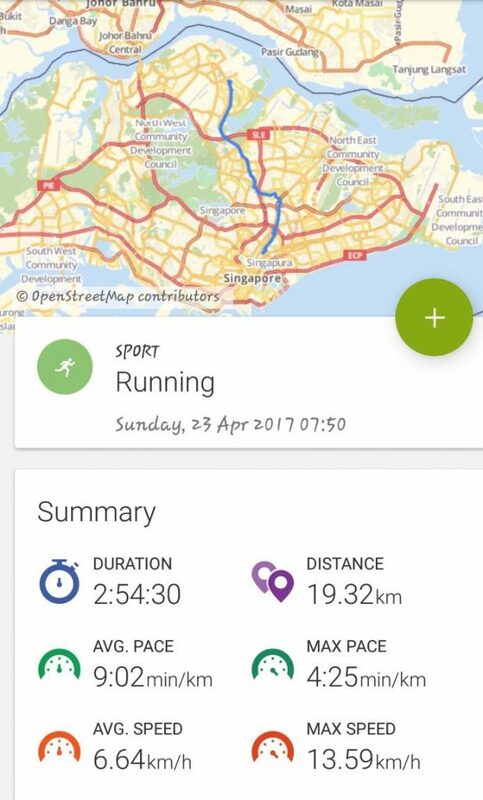 I wasn’t lying when I said I was done with loops when I ran my first [incomplete] full marathon. But a few days later I when heard that there will be a female-only ultramarathon, I knew that I just had to sign up for it. Plus, a part of me wanted redemption for not being able to complete a looped full marathon. 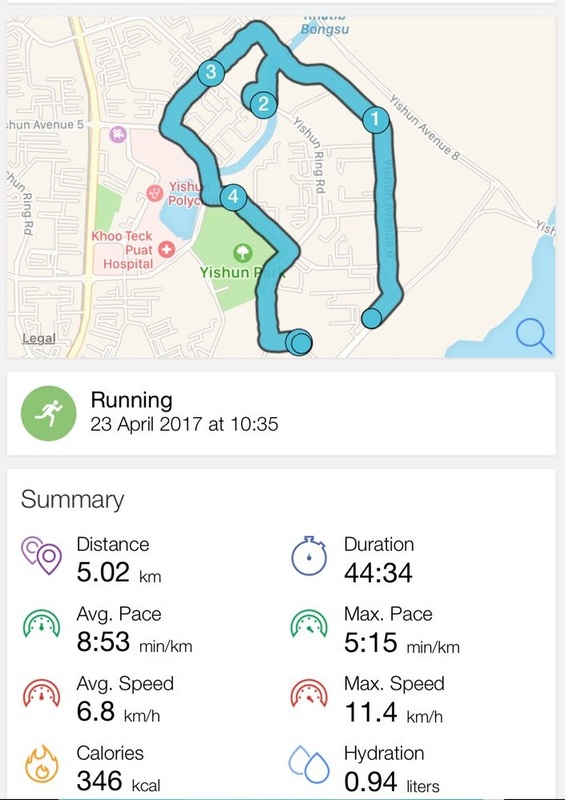 Initially, I signed up for the 50km solo category, which required me to run 17 loops of 3km (17 X 3KM = 51KM), but as the event date approaches a male friend of mine decided to run with me, so we upgraded to the 100km duo category (each participant will run 50km) because that’s the only category that allows male participants. My ultramarathon objective is simple: Just finish the race within the cut off time of 9 hours. To be able to do that, I must prepare myself physically and mentally. For first timers like me, it is advisable to clock in at least 200km in one month before the race, and run at least 30-40km one week before race day so your feet is used to moving slowly but consistently over long distances. All of that training will wear you out, you will feel exhausted even before race day! So spend at least 1 week before the race tapering and resting. Most importantly, you have to come to the race mentally prepared. It is going to be hot, at 42°C there is nothing else that keeps you going except your inner motivation. It is going to hurt, but keep telling your mind to fight through the pain. Like 2 straight lines moving together, both mental and physical preparation must be parallel to able to finish an ultramarathon. 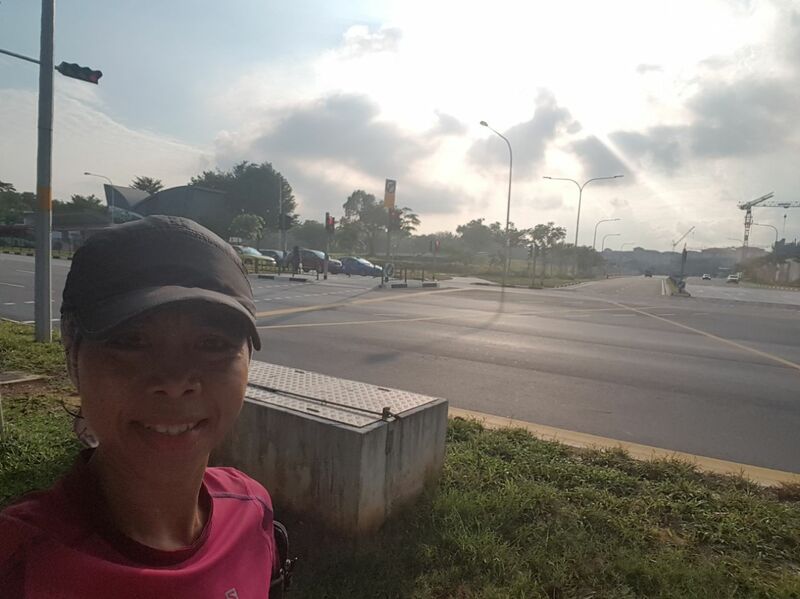 My ultramarathon strategy is equally simple too: Run 30KM continuously at a very comfortable pace (8:00 – 8:30 min/km), then power walk (10:30 – 11:30 min/km) for the rest of the way. I was glad that the training paid off. When boredom or negative thoughts started to kick in, I turned up my music or randomly chatted to other participants. There is an encouraging vibe to a women-friendly event, I even made new friends along the way! To avoid wasting precious time, I had to refrain myself from stopping too long at the checkpoint. All I did was quickly drank some water or Coke, refill my bottle, or mix my hydration tab or Gatorade powder, and grab a quick snack, all in less than 3 minutes. I think my partner’s shirt almost matches my top. True to it’s Ultra name, this top is highly recommended for long distance running. It is bright to minimize heat absorption, evaporates sweat quickly, and very light. 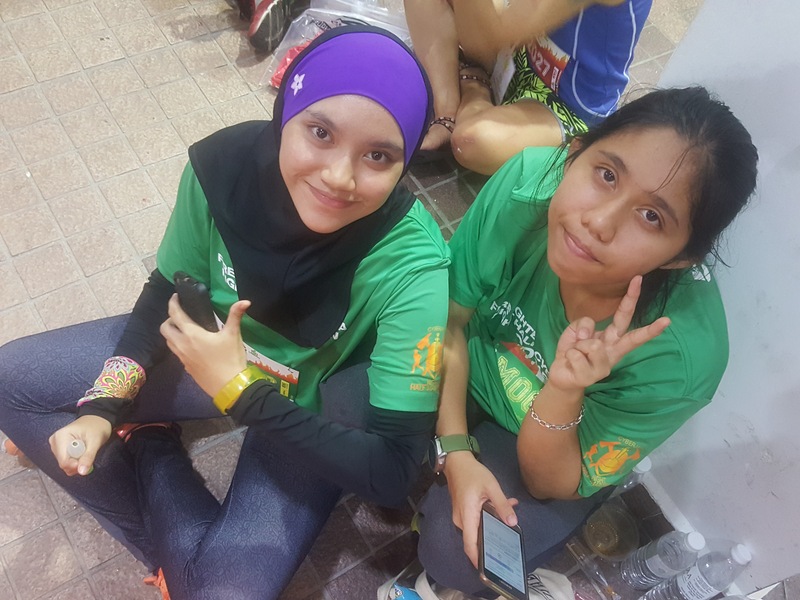 The familiar faces that greeted me at the finishing line. 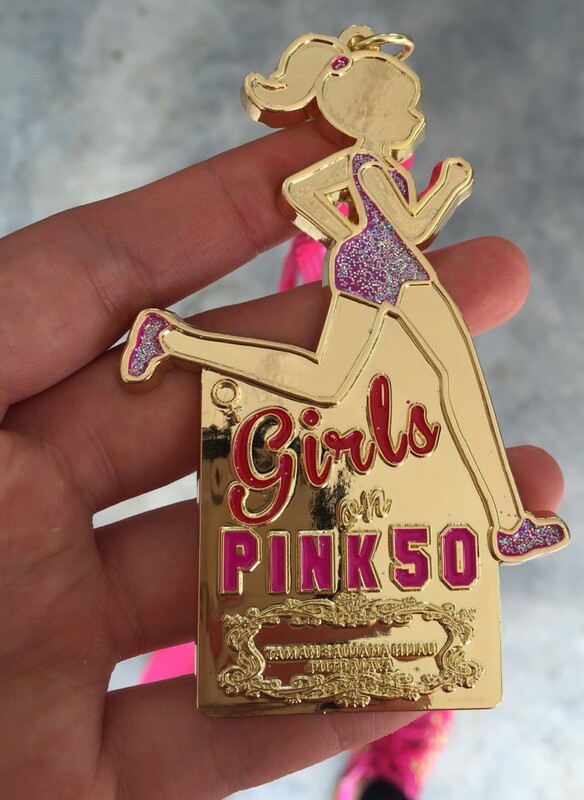 This medal is for my family who have never doubted my capabilities, my official and unofficial pacers during the event, Nashata for always keeping me covered, late night training sessions, pre-dawn LSDs, support crew for coming to cheer, messages of encouragement, well wishers, and advisors. 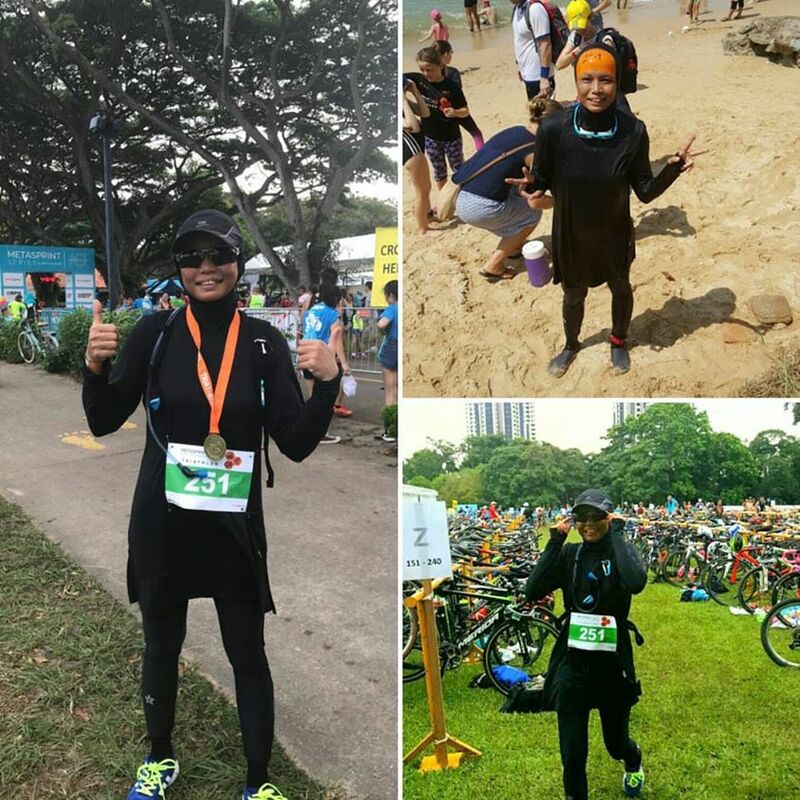 Thank you for being a part of my ultramarathon journey. In the end, I completed all 17 loops in under 9 hours, thankfully without any major injuries or cramps. There was the usual muscle fatigue and soreness the next day, but that is normal. I expect to start running again in less than one week, and hopefully I am at least 80% recovered by then. So, what’s next for me? Would I do it all over again if I had to?